Have you ever wished that you could carry your office around with you? That is actually not a fantasy any longer because you can get mobile and modular offices that are simple to purchase, install, and transport. In fact, these modular and portable offices can be used for many other purposes as well. The most common use of these modular and transportable offices is usually for construction sites. The work site needs some functional buildings for engineers, designers, and even worker break rooms, or infirmaries. 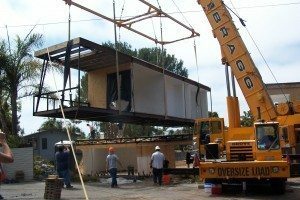 The best solution is to get modular buildings that can be transported to a site, securely installed, hooked up to utilities, and then moved again when the job is completed. This efficient solution is also used for many other industries. Sometimes they are installed on oil-drilling sites, archeological digs, and even by schools that have a temporary need of more classrooms. They allow carnival, fair, or festival managers to set up temporary office space, restrooms, and other facilities quickly and easy. When the festival is over, these buildings can be packed up, and it is just like they were never there. Many businesses, organizations, or even individuals purchase their own modular buildings to use again and again. In some cases, these buildings can also be rented if they are only needed on a temporary basis. The choice to buy or rent really depends upon your needs and budget. Some companies even try renting them to make sure they will be happy with manufactured buildings, and then they buy them later. How Do You Buy Portable Buildings? You can work with a manufacturer if you have custom needs. They will give you access to customer service specialists, designers, and engineers who can help you create the perfect mobile solution. If you order a custom mobile building, it might need to be totally manufactured in a high-tech plant. After that, every part will be carefully inspected and reviewed before it is packed up and put on a truck. The truck delivers the building to your location, and you can even take advantage of trained technicians who will carefully place and install the building. This whole process should take hours or days. Compare that to the many weeks or months you might have to wait for the construction of traditional buildings. If you also compare the cost of these manufactured buildings to trying to get one built in the traditional way, you will probably wonder why you have not used this solution before. The best thing about these buildings is, of course, the fact that you can move them when you need to go to your next site. They also have a very good resale value if you decide you no longer need your building. 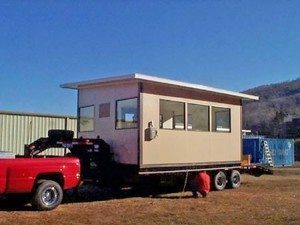 If you do not need a custom design, you might be able to purchase a mobile office that has already been constructed. You might either buy this from a manufacturer or distributor in your local area, and that way you get the chance to see the exact building that you intend to get before you make a decision. In fact, many of these portable building sellers will have a selection of models that you can view. Of course, you won’t have to wait for a custom building to get constructed either. You might order one of these pre-fabricated office buildings today and get it tomorrow. Why Not See If Portable Offices Can Solve Your Mobile Building Problems? If you have not shopped for this type of manufactured building lately, you might have the wrong impression about the safety and functionality of modern buildings. Once many of these models have been set up, it is hard to tell that they are portable. In fact, some owners even use these modular buildings as permanent office, storage, or even store space. They even end up setting them on permanent foundations. The biggest difference between portable buildings and permanent buildings is the fact that owners do have the option to move the portable ones! Why not start shopping for high-quality, efficient, affordable, and safe portable buildings for your own use? You will probably be surprised by how inexpensive and easy it is to get these buildings delivered to your site or property!